Tow Truck Insurance Irving Tx – We Are The Destination for Texas Truck Insurance. Pathway Insurance is the Texas Truck Insurance destination for business owners looking for Tow Truck Insurance in Irving Tx, the nearby areas, and throughout Texas. 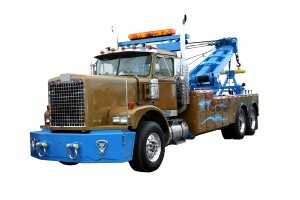 To inquire about Irving Texas Tow Truck Insurance call us today at 800-998-0662. At Pathway, we think it’s important that our customers have a solid understanding of their insurance policies. Knowing what is and is not covered by your Texas Commercial Auto Insurance policy, for example, can mean the difference between a minor inconvenience and a catastrophic financial loss! To help illustrate this point, we sometimes use fictional insurance scenarios. The following is a continuation of our series observing the insurance pitfalls of Billy Sandwichshort. Tow Truck Insurance Texas – Claims Scenario Part Five. In our previous article, Billy seemed to learn his lesson and purchase the proper commercial policy to cover his tow truck. It was not long before he found himself in another accident, however, so his coverage is about to be put to the test. Billy files two insurance claims: one for damage to his tow truck, and another for damage to his customer’s vehicle that he was towing at the time of the crash. A couple weeks later the insurance company replies. They inform Billy that the substantial damage to his truck will be covered in full by Billy’s commercial auto policy. Billy is so overjoyed that he almost forgets to read the second half of the letter. He calms down and reads on. To Billy’s great disappointment, the insurance company also informs him that the considerable damage to the car belonging to his customer will not be covered under Billy’s insurance policy. How can this be? Billy has the right policy this time! Remember from last week’s article how Billy’s agent recommended some additional coverage options for Billy’s situation? One of those options is called Garagekeepers Insurance*. Garagekeepers Insurance specifically protects damage to non-owned vehicles while being towed by a covered auto. Without it, damage to the vehicle being towed is not covered. And that means Billy is once again stuck with a big bill and one angry customer. *Outside of Texas and Virginia, Garagekeepers Insurance is called On-Hook Coverage. Tow Truck Insurance Irving Tx – Have a Question? Call and Ask! Feel free to call Pathway Insurance any time at 800-998-0662, or click on Tow Truck Insurance in Irving Texas to request free quotes any time.